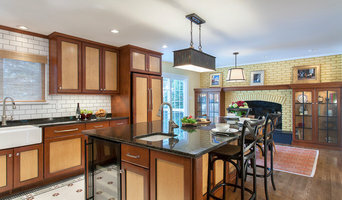 Best Of Houzz Award Winner! R.R. Redesign has been providing Carroll County with premier, yet affordable, home decorating and staging services for over 11 years. We can help you with your home too. Interior Concepts, Inc. is a full service, award-winning interior design firm with 50 employees, a 50,000 square foot warehouse, our own delivery service and a top tier roster of clients. Over the last three decades, we have transformed spaces small and grand – from D.C. to California and many in between. We have crossed the oceans and the globe, to mainland China, Jordan, Spain, England and the Caribbean. Recently at home, we had the privilege to design for the Vice President and Mrs. Pence at the Naval Observatory Residence. You can read about it here: <a rel="nofollow" target="_blank" href="https://www.washingtonpost.com/lifestyle/magazine/new-curtains-a-beehive-and-a-basketball-court-the-pences-at-the-vice-presidents-residence/2018/04/12/c3817dec-18cb-11e8-92c9-376b4fe57ff7_story.html?noredirect=on&utm_term=.29d013f95be2">https://www.washingtonpost.com/lifestyle/magazine/new-curtains-a-beehive-and-a-basketball-court-the-pences-at-the-vice-presidents-residence/2018/04/12/c3817dec-18cb-11e8-92c9-376b4fe57ff7_story.html?noredirect=on&utm_term=.29d013f95be2</a> Interior Concepts is headed by Arlene Critzos, a graduate of Mount Vernon College in Washington, D.C.; a student of the Foreign Study League, University of Rome; Norwich College of Arts in Holland, and St. Gabriel's College in London, England, as well as a member of the American Society of Interior Designers (ASID). Learn from our talented design team by checking out our blog! 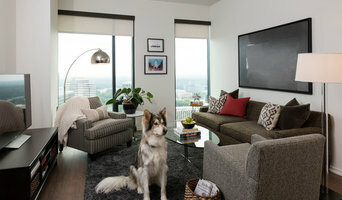 Click here <a rel="nofollow" target="_blank" href="https://www.interiorconceptsinc.com/blog">https://www.interiorconceptsinc.com/blog</a> or click on the "link" circle to the left. Enjoy! Danziger Design is a licensed interior design firm serving Maryland, Virginia and Washington, DC. Danziger Design‘s willingness to approach innovative concepts and discover new interior design solutions has been our professional standard since 1980. Founded in 2001 by Sandra Meyer, Ella Scott Design, LLC creates beautiful, functional spaces uniquely tailored to each client's lifestyle and aesthetic. From color consultations, to home furnishing selections, to comprehensive interior design services, ESD will help you to explore and discover the potential of your space. With 12 plus years of experience, including work for designers in Baltimore and Boston, and fabric house, Fortuny, Inc. in NYC, Elizabeth brings a clean, effortless aesethetic to her designs, mixing equal parts classic and modern. Elizabeth operates under the belief that design is a fine collaboration between the client and designer and will make your home beautiful, interesting and functional while maintaining a personal feel. We’re a client focused design firm that tailors our services to meet each clients needs. We collaborate with you to understand your goals, while taking into account the unique challenges of your space. We then focus on the details: function, furniture, flooring, window & walls, lighting & accessories. The result - a comprehensive design, tailor made, to balance your needs & desires. All this...completed with an economical use of design time. Our goal is to provide you with the assistance in creating a home that represents your uniqueness. We have a time tested, collaborative process that will take you on a journey to your dream home from inception to completion with our turn-key services. We keep our projects on task and in budget! Our detailed project management makes, what could be an overwhelming experience, fun exciting and ultimately rewarding. Vacation homes and downsizing homes provide unique challenges we have experience in managing, allowing you peace of mind knowing you’re in capable hands. But please, don’t take our word for it, take the word of our clients who have enjoyed, first hand, the thrill of the experience. If you are looking to design your dream home, give us a call at (410) 457-3688 or click the "Contact Me" button to send us a message. We look forward to working with you! The work of a professional can make all the difference. Whether your home has 10 bedrooms, or your apartment is 800 square feet, it can be tricky to create a cohesive look that is representative of your style. That's where a local Taneytown interior designer comes in. A home decorator will help distill your tastes and ideas into a design that suits the needs of your space. 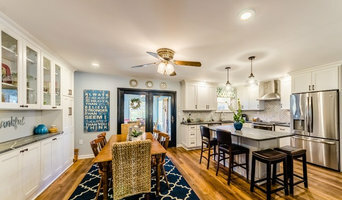 Whether you need help creating a functional space plan, rearranging existing pieces, designing the inside of a new home, or simply sourcing amazing furniture and decor, seeking the help of professional interior designers and decorators in Taneytown, MD is a must. A good home design professional will hone your style down to its very essence and be able to choose a functional layout that feels natural to you. Interior design companies can be involved as much or as little as the client desires. Many clients who hire an interior decorator in Taneytown, MD — particularly those who are remodeling — have a good sense of how the room should look and what products they should use. Often clients will insist that interior decorators use the products already present in the house. Other times a designer will need to start from scratch — especially if this is a newly purchased or just-built home. An interior design company will need to figure out exactly what the client needs, which includes organizing rooms, picking flooring and wall colors, and finding furniture to complement it all. Sometimes that means he or she will have to recruit help from other Taneytown, MD home professionals to help create the perfect look for your renovation. Here are some related professionals and vendors to complement the work of interior designers & decorators: Architects & Building Designers, General Contractors, Home Builders, Design-Build Firms, Photographers. Do your research before meeting with an interior designer or home decorator in Taneytown, MD. Ask yourself what you want your space to become and what it will be used for. Figure out the extent of what you need help with, what your must-haves are and what your budget is. Interior design services can add up fast, so be up front with a potential design firm or individual from the beginning. Also, pick an interior decorator that fits your style. Browse through the portfolios of different Taneytown interior design firms and decide if you would live in those houses. Just because you like something doesn’t mean you could live in it. There's a big difference! Find an interior designer or home decorator in Taneytown, MD on Houzz. Narrow your search in the Professionals section to find Taneytown interior designers near you. You can also look through Taneytown, MD photos to find a room you like, then contact the design firm who designed it.